An Overview of North Carolina Premises Liability Law - Ward and Smith, P.A. Accidents happen. But how do you determine whether an injury on someone else's property is just an unavoidable accident or a potential legal liability? As in other areas of personal injury law, the analysis typically is based on negligence—whether the property owner, occupier, or manager ("Landowner") had a legal duty to the injured party and whether the Landowner breached that duty. North Carolina courts used to apply different legal standards in premises liability cases depending whether the injured party was on the property as a "licensee" or "invitee." However, the North Carolina Supreme Court abolished this distinction in 1998. Now, North Carolina law requires the same standard of care for Landowners toward all lawful visitors: the duty of reasonable care not to unnecessarily expose lawful visitors to a dangerous situation and to warn lawful visitors of any hidden dangers. This standard requires that a Landowner must exercise "reasonable care" to protect any lawful visitor from injury. Reasonable care by a Landowner might include maintaining property in a proper manner, cleaning up after a spill, or ensuring there is adequate security for visitors. To recover for any damages, the injured party must prove that the Landowner negligently caused the condition or failed to correct the condition after the Landowner knew or should have known of its existence. If there is a dangerous situation that cannot reasonably be corrected (i.e., a natural drop-off of terrain), then the Landowner is only required to give an adequate warning of the dangerous condition. However, if the condition would be obviously apparent to a reasonable person, the Landowner may not even have a duty to warn. With unlawful visitors (i.e., trespassers), the Landowner's only duty is to refrain from willfully harming the trespasser. Thus, the reasonable person standard, including the duty to warn, does not apply. Still, there can be factual disputes about whether or not someone actually was a trespasser, including situations of "implied permission." Further, the "attractive nuisance" doctrine will apply in some cases. Under this doctrine, a Landowner can be held liable for injuries to minor children who are trespassers if the dangerous condition was one likely to attract such minors. Examples might include broken playground equipment or certain construction sites. It is impossible to list all possible types of premises liability claims because the manner in which someone can be injured on another's property, and the duty that might apply, are fact-driven and thus virtually limitless. Still, below are examples of some common types of premises liability cases in North Carolina. Slip and fall cases commonly occur in restaurants, grocery stores, and similar establishments. The factual issues in these cases include how long the dangerous condition was present (i.e., was the dangerous condition such as a liquid spill there long enough that an employee should have had noticed it and corrected it or warned that it was present (a common example is a "Danger: Wet Floor" sign in a grocery store aisle). Landowners sometimes raise the doctrine of contributory negligence, including whether the lawful visitor was properly looking where the visitor was going, as a defense. 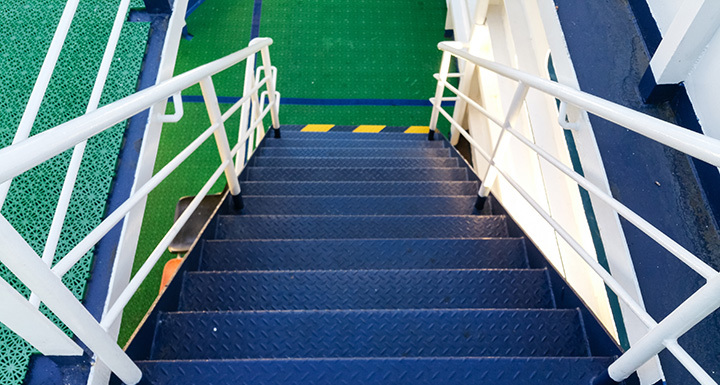 Examples of these cases include deck collapses, broken stairs, or railing failures. The duty of reasonable care may include a duty to provide adequate security measures—particularly when prior crimes have occurred at a particular location. If the security is not reasonably adequate and a lawful visitor is a victim of crime, the Landowner may be liable. 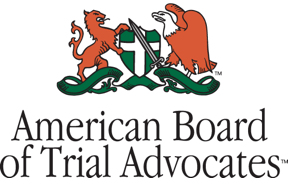 Liability for dog bites depends on whether the owner or another with control over the animal was on notice that the dog was a "potentially dangerous" dog. This analysis usually depends on prior instances of biting or vicious behavior, although the breed of dog also can be relevant. Liability insurance pays for injuries to third parties occurring on the insured property location. Casualty or property insurance pays only for damage to the property insured such as a fire or water damage, and not for injuries to third parties occurring on the property. In particular, homeowner's liability insurance applies in the personal residential property context. A commercial general liability policy applies in the business context. If a visitor is injured on another's property due to negligence, then the Landowner's existing premises or liability insurance policy (as distinguished from a solely casualty or property insurance policy), may come into play. So, if you are injured on another's property, a first important step is to notify the Landowner or the Landowner's representative and investigate any potential insurance coverage. This is one of the most valuable services an attorney can provide in a premises liability case. In North Carolina, liability may arise where a Landowner fails to exercise reasonable care and another party is injured. As in other personal injury cases, reaching out to an attorney to assist is typically the best approach. Involving an experienced, committed attorney will ensure the protection of the Landowner's and injured party's rights, help navigate potential insurance issues, and make certain that the Landowner and the injured party have skilled guidance during a challenging legal process. © 2019 Ward and Smith, P.A. For further information regarding the issues described above, please contact Jeremy M. Wilson.